It was a big year for the Sleep + Eat Event – not only was it the first time it had exhibited at Olympia, having previously been located at the Business Design Centre, but it was also the first time it had added the ‘+ Eat’ element to proceedings. But while it’s now also about restaurant and bar spaces, the two-day show in November remains the go-to bathroom design destination for architects and designers from all over the globe – Trend-Monitor did a tour of the show to find out what’s trending in the bathroom sector. Wellness has been at the forefront of bathroom design for some years, and is not going away any time soon. 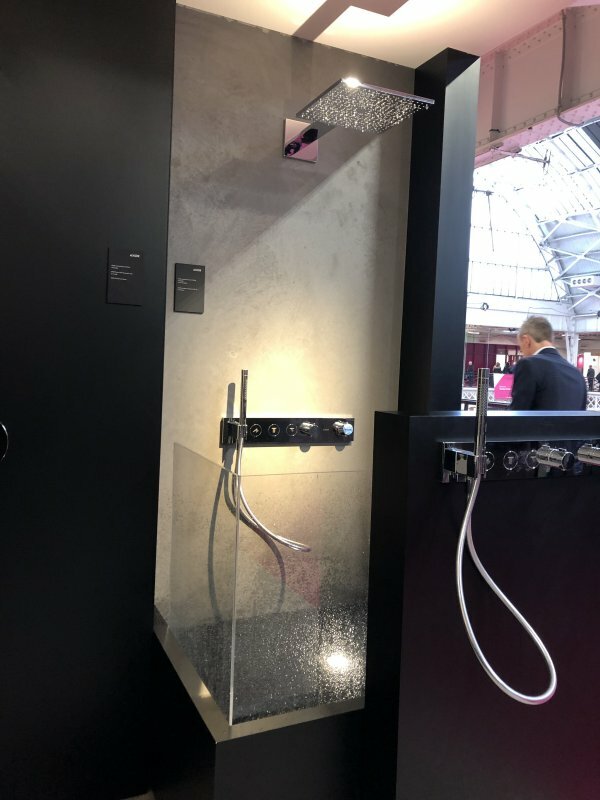 Dornbracht’s new Aquamoon ‘multisensory water experience’ was being shown for the first time in the UK and took centre stage on the company’s stand. Featuring three different flow modes, it also offers changing mood lighting, and marketing co-ordinator Alison Clarke explained that hotel designers are now incorporating spa elements in hotel suites, rather than reserving them just for the spa area of the hotel. She envisages this trend filtering through to the residential market and family bathrooms too. Grohe, founder sponsor of the show, was highlighting its SmartControl shower systems. 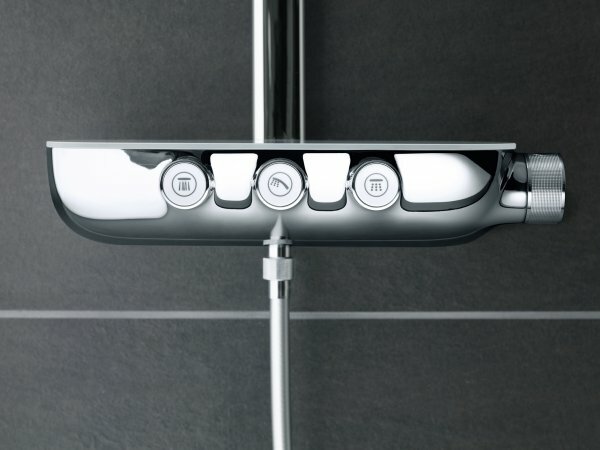 The Rainshower System SmartControl 360 DUO features a lozenge-shaped head shower that mirrors the width of the human body to deliver a shoulder massage, while the Bokoma Spray has two pulsating spray patterns to provide a head massage. 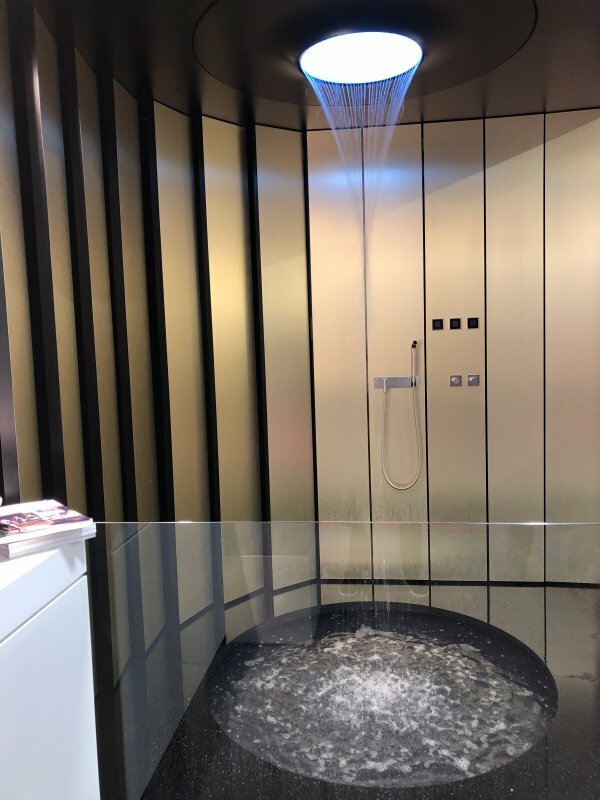 Hansgrohe was exhibiting its Intense PowderRain technology – a soft spray, which consists of dozens of micro-fine sprays, that is both completely drenching and extremely pleasant. 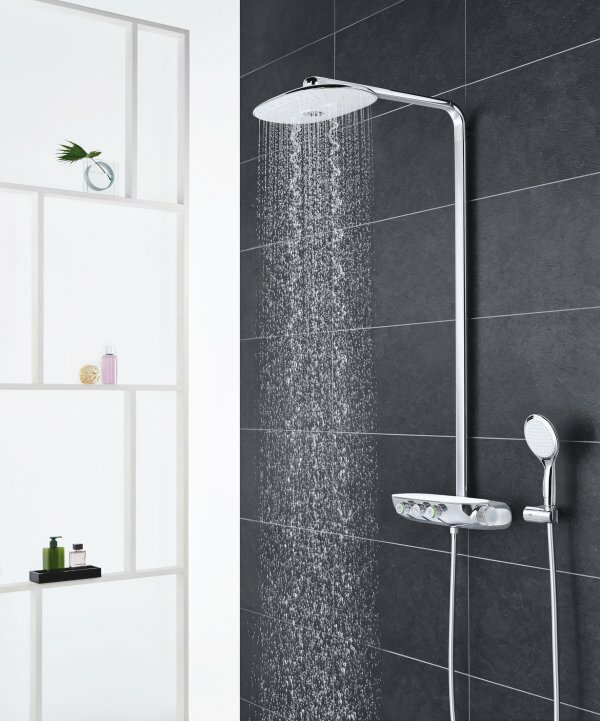 The trend for multi-generational products continued to be in evidence in the form of flush-to-floor shower trays, a wealth of new shower-toilet models that are making their way into the UK market, and products that could be adapted to suit different needs. Also in evidence was the concept of the bathroom as a communal space. VitrA’s latest designer collaboration is the Plural collection by Terri Pecora, which envisages the bathroom as a social hub where people reconnect with themselves and those close to them. The organic-shaped elements can be used in multiple combinations, and angled to face each other, so several people can use the bathroom at the same time in a sociable way. Consumer demand for products they can adapt and create a bathroom environment that is bespoke to them continues to grow. 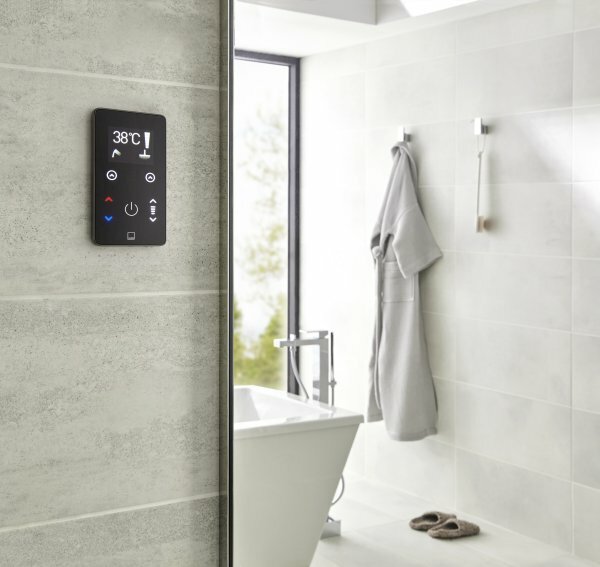 Grohe’s SmartControl shower system enables the user to preset the temperature and enjoy a tailored showering experience via the broad choice of spray options. It also offers EcoJoy – an eco-friendly/water-saving function. Vado’s Sensori SmartTouch technology allows you to save your temperature, flow and operating time to create your ideal shower every time you use it. The growing appetite for individualising interiors style was also evident at the show. The Axor MyEdition collection offers 15 special FinishPlus surfaces with which to adapt brassware. 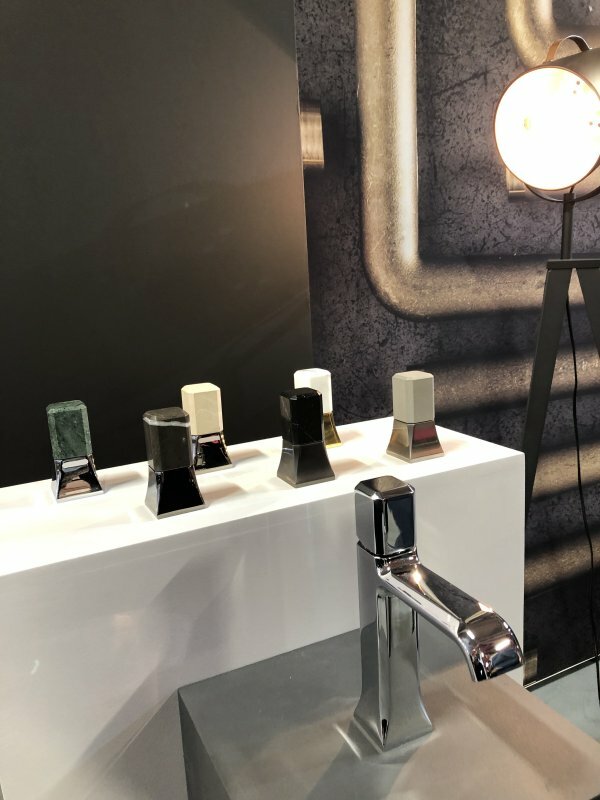 Crosswater was also trialling different marble handle options to customise its brassware, and shower manufacturers Merlyn and Roman were offering a broad selection of finishes to customise their hinges. 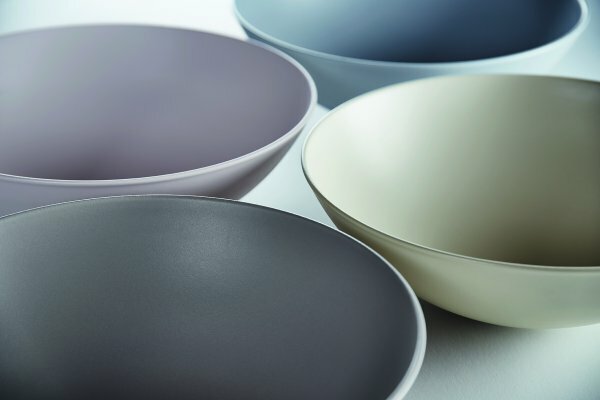 When it comes to colours, there was a tentative move into the grey and soft pastel end of the colour spectrum, with a particular emphasis on matt finishes. 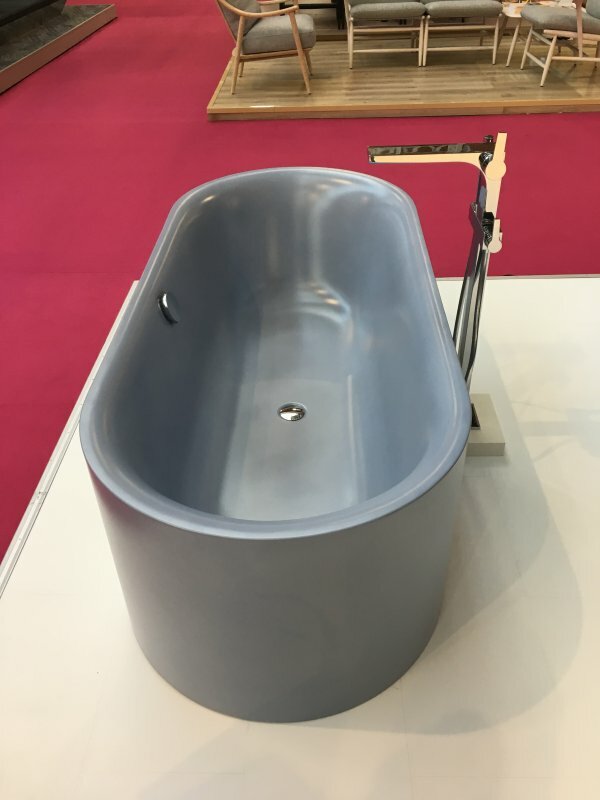 Bette was showcasing its new Blue Satin effect on its BetteLux Oval Silhouette bath, which is also available in other colours and 22 matt options. 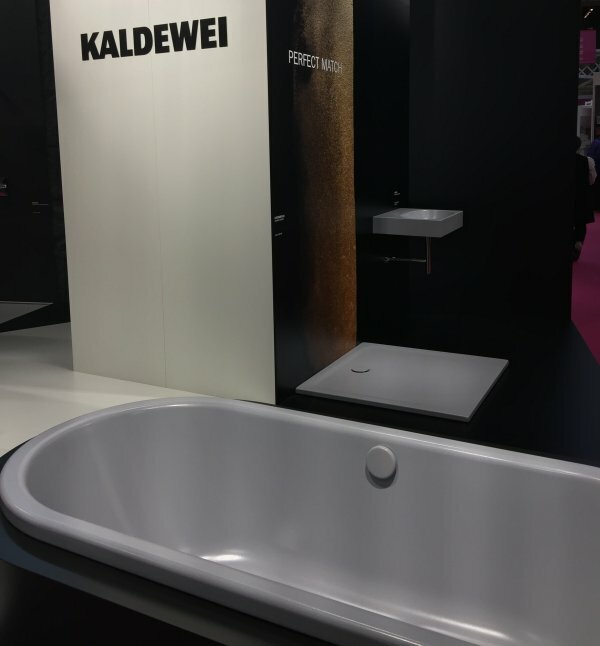 Kaldewei was exhibiting its Miena washbasins, which are available in a range of neutral matt shades, and it was also showing its Perfect Match bathroom solutions shown in Oyster Grey. 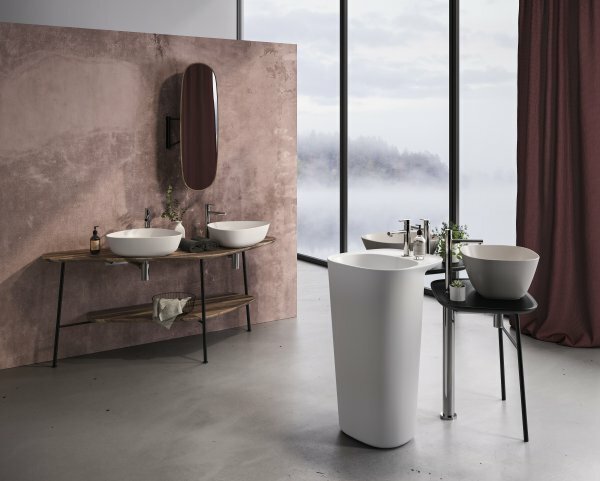 Alape’s Terra group of delicate washbasins were being shown in four soft pastel shades with a matt finish. Black – last year’s favourite finish – was still in evidence on the VitrA and Victoria + Albert Baths stands, and also in Crittall-effect shower enclosures in Roman’s and Novellini’s displays. As new materials and production techniques evolve, basins in particular are being produced with the slimmest rims that technology allows. On display on the Dornbracht stand were Alape’s Aqua range of washbasins, which are made from steel and then given a gloss glaze. 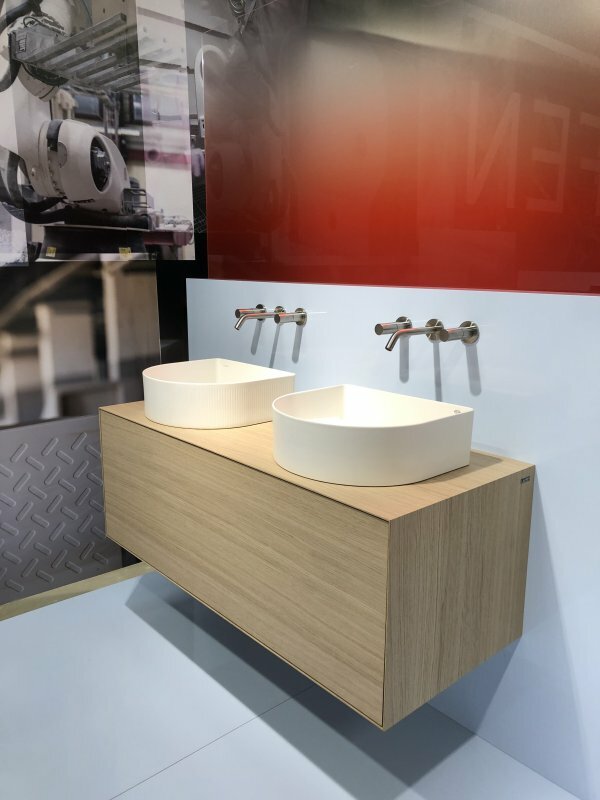 VitrA’s Plural washbasins also feature slim rims, and were on display accompanied by tall slender brassware to go with them. Meanwhile, Laufen was showcasing the capabilities of its SaphirKeramik in the new Sonar range designed by Patricia Urquiola. The material is extremely strong and is able to tolerate being shaped into thin but robust walls.